In a documented Mystery Helicopter wave in England, accounts place oriental appearing occupants in a unidentified chopper. 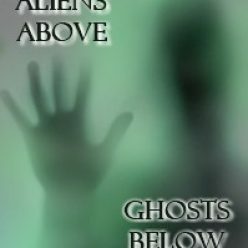 Slant-eyed, olive skinned, oriental seeming occupants have been a staple at the heart and at the periphery of UFO accounts for years, significant numbers of the infamous ‘Men in Black’ (MIBs) have a similar appearance, but very often the are seen as very pale and gaunt men who are sensitive to light. The Teledyne Ryan Aeronautical Corporation is responsible for the mysterious Helicopters or ‘XH SHARKS’, as they refer to them. is only what I’ve been able to learn, and may not be the total capacity and/or capabilities. Engines: One (1), 1,825 horsepower Pratt & Whitney engine, Canada J60-3A Turbojet, Turboshaft and two (2) 3,000 lb. (1361 Kg) Pratt & Whitney Turbo’s. Some helicopters (XH-75D Type) also have a Gravitational Electromagnetic Projector to create a “Cocoon” around the helicopter as a disguise. A 360 degree global arc with a radius of fifty (50) feet, more or less, provides a photonic force-field.